It was the largest death toll of US civilians by human acts until 9/11 , but was it really “mass suicide” or were people murdered? What’s to be made of the spectre of CIA conspiracies looming over Jonestown? This article examines how the Jonestown narrative was manipulated, and the claims of covert government connections to a massacre that fuelled a war against alternative spirituality. On 18 November 1978 more than 900 members of The People’s Temple tragically lost their lives at their religious commune in the jungles of Guyana, in what was widely reported as mass suicide. 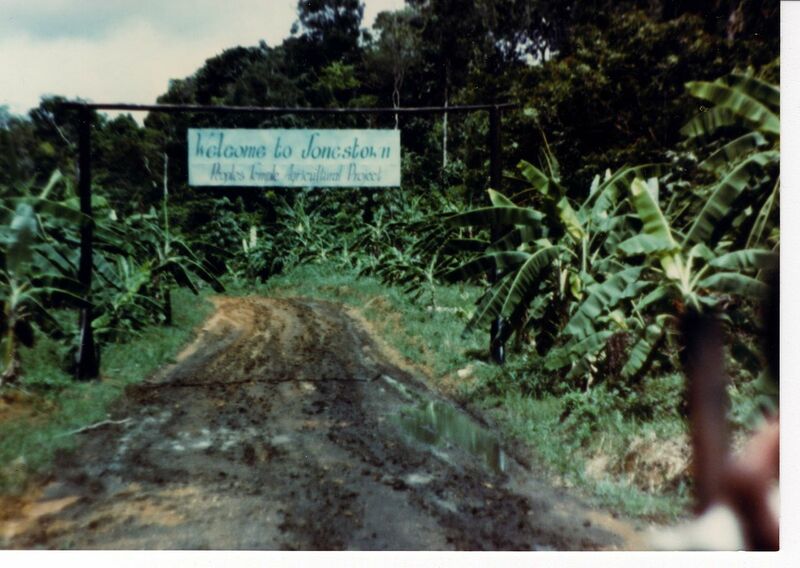 The place, and the tragedy, was dubbed “Jonestown” after the church’s leader, the Reverend Jim Jones. It was the largest death toll of US civilians by deliberate acts, until the 9/11 terrorist attacks in 2001. Like 9/11, there was saturated media coverage, people were shocked and horrified, and the world was never quite the same afterwards. The impacts of 9/11 remain obvious today, with open-ended wars, extrajudicial killings, mass surveillance, torture and the rollout of police state practices occurring in its wake. Jonestown also had a profound impact on western society. Like 9/11 it set in motion a war, but of a different kind: a war on alternative spirituality. 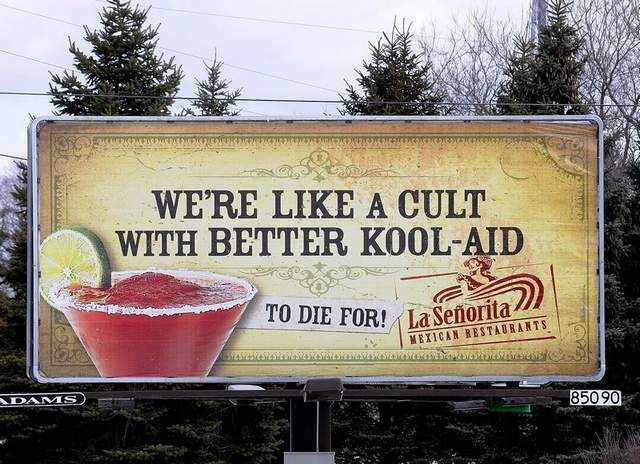 The derisive phrase, “don’t drink the Kool-Aid” and the sense of dread incited by the word “cult” stems from Jonestown’s aftermath. Their meanings are understood even by those only vaguely familiar with, or born after, this event. The Jonestown narrative spawned the enduring “cult” archetype of our times, instilling the term with diabolical associations. The event was a catalyst for an upwelling of fear, suspicion and paranoia towards alternative spirituality of many forms – no matter how far removed and unrelated they were from Jonestown – stoked by mass media propaganda. The effects of this ongoing propaganda include alternative spirituality being targeted for censorship via unconstitutional corporate web filters. But the greatest impact has been the social conditioning of people’s minds, with fear used to turn people against the very idea of alternative spirituality. These after-effects are not so obvious now, because the social attitudes born in reaction to that event have been “normalised” – drummed in through mass media repetition, permeating into our values and collective consciousness, reflexively altering how we view the world, even as the origins of this mindset are obscured or forgotten. Because of its profound impact, it’s important to question how the Jonestown story has been told, and retold. Those who are familiar with Jonestown generally only know the official story, which has been repeated two-dimensionally again and again by the mainstream media, like an urban legend: 900 plus “mindless” people were “brainwashed” into committing group suicide through drinking cyanide-laced Kool-Aid on command, under the charismatic “mind control” influence of Jim Jones. This story is turned into a moral fable peppered with ominous warnings about “another Jonestown” as if it were a template others are bound to emulate, with the threat of brainwashing from deviant groups presenting a mortal danger to society. This perception lives on even as the story of Jonestown becomes an obscurity. Its tragic impacts are perhaps best demonstrated in the fatal siege of the WACO ranch, where members of another Christian commune lost their lives after they were raided by militaristic law enforcement who surrounded their premises, discharged flash grenades and bullets, with a fire resulting and most of the community dying inside. In that incident, Jonestown was foremost in mind, and its story used as rhetorical fodder to fuel a lethal and unnecessary military-style operation. Although the passage of time may have lessened the paranoia that prevailed during the siege of the WACO ranch in 1993, there is no denying that the influence and folklores born from the Jonestown tragedy still live on in the public consciousness. But how valid is the popular narrative about Jonestown that has left such an indelible mark on society? There is much missing from the official Jonestown story in typical media coverage and popular understandings. If the popular perceptions of this issue were not so selective – leaving out disturbing information that does not fit the accepted narrative – Jonestown’s legacy might have been quite different. At the very least it would be more nuanced, not the simplistic caricature it became that fuelled a moral panic. If you look a little deeper, there are a lot of anomalies in what happened, which makes what unfolded much more complex, and raises more question marks than certainties. It also raises the spectre of influence or involvement by outside forces. 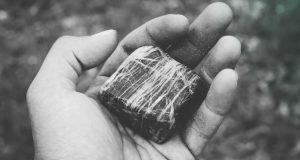 Due to the profound impact this event had on alternative spirituality, it is important to examine it further. 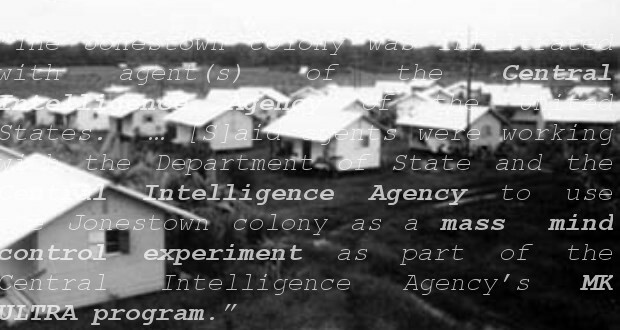 Before going further into what happened at Jonestown, it’s important to give some background on two covert and illegal US government programs which feature in alternative understandings of what may have transpired. 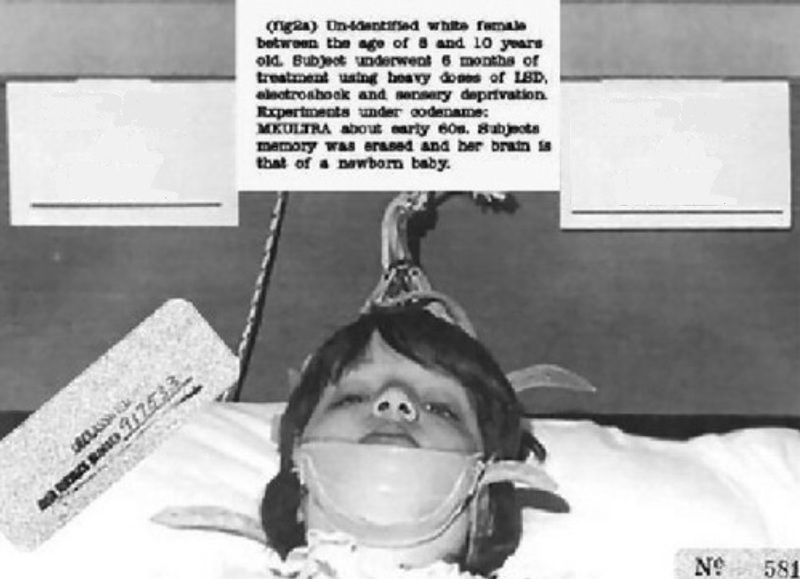 MK-ULTRA was a secret CIA “mind control” research program involving illegal experiments on US and Canadian people. It followed precursor research projects which were born out of Project Paperclip, under which the US government brought Nazi scientists to the USA after World War 2 to continue research in America. The Nazis had committed war crimes by undertaking human experimentation on prisoners in concentration camps. Soon human experimentation was also taking place in North America, namely “mind control” research for military purposes on human subjects. 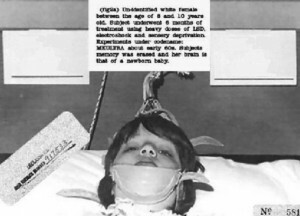 MK-ULTRA officially began in the early 1950s, and officially ended in 1973. The CIA coordinated the project in conjunction with the US Army’s Chemical Corps. Many experiments were done on people without their consent. In some cases, random members of the public were surreptitiously exposed to drugs to study the effects on behaviour. In other cases, prisoners and patients in mental health care were used as guinea pigs for abusive medical experiments that amounted to torture, involving forced isolation, the forced administration of mind-altering drugs and chemicals, electroshock therapy, hypnotherapy, “psychic driving” and, it is alleged in some cases, sexual abuse. In many cases the CIA funnelled funding for these experiments through front organisations or medical institutes, with the macabre experiments carried out by civilian psychiatrists, who were sometimes unaware the funding originated with the CIA. The aim of some experiments was to see if it was possible to break down and directly control a person’s mind and behaviour. Some experiments resulted in death or permanent brain damage in the subjects, or extreme psychological problems. It has long been posited that the research was aimed at developing “Manchurian candidates” – programmed assassins who could be triggered to kill a target without conscious control. 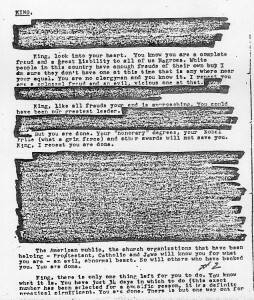 MK-ULTRA has figured into conspiracy theories explaining the spate of political assassinations that took place in the 1960s while MK-ULTRA was active. 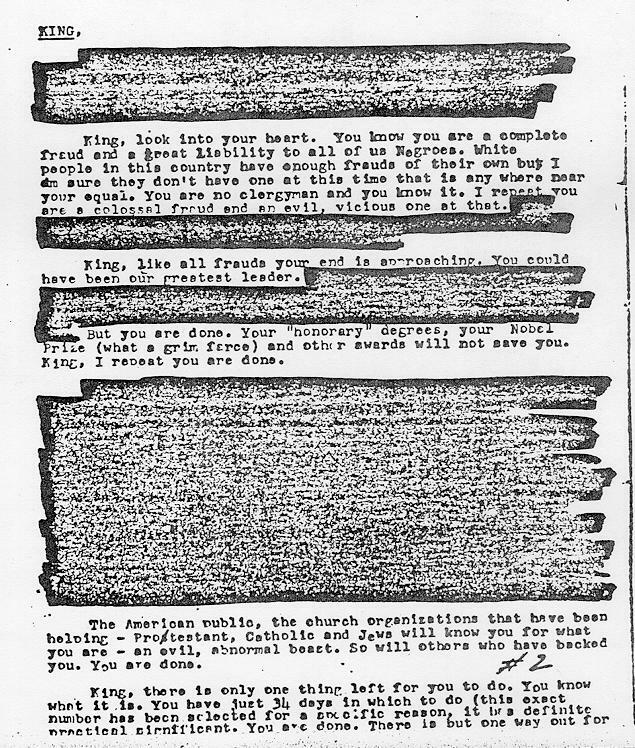 As it came under scrutiny, the CIA destroyed most of the files on MK-ULTRA and claimed it was no longer running, although many believe its research into mind control continued. Because of this cover-up, the full extent of the program will never be known. It remains shrouded in mystery. COINTELPRO was another illegal covert operation carried out on US citizens, in this case by the FBI. Under directions from J Edgar Hoover, COINTELPRO sought to “expose, disrupt, misdirect, discredit, neutralize or otherwise eliminate” people and organisations deemed a threat to the “social and political order”. These threats included anti-war protestors and civil rights activists, like Martin Luther King, or any political organisation considered subversive. COINTELPRO stood for “Counter Intelligence Program” and officially ran from 1956 to 1971, although it is believed its tactics continued long after. Going far beyond its remit of investigating crimes, under COINTELPRO the FBI engaged not only in surveillance but wide-scale counter intelligence operations against citizens. The FBI would infiltrate targeted domestic political organisations and seek to discredit them – by acting as agent provocateurs or sowing dissension. It would use psychological warfare tactics such as planting false stories in the press, circulating false pamphlets and letters purported to be from the targeted individual or group, and spreading misinformation in order to discredit them. They used threats and harassment and even illegal force, in some cases working with local police to raid people’s homes, assassinating their targets in the process in some cases. Both of these programs had become public knowledge in the 1970s prior to the Jonestown tragedy. Now let’s return to Jonestown. Although he is often perceived as a lone preacher running a fringe religious group, Jim Jones was operating as an ordained minister of The Disciples of Christ, a mainstream Christian denomination, albeit a very unconventional one, when the Jonestown massacre occurred. A charismatic preacher in the Pentecostal tradition since an early age who performed “miracles”, Jones mixed Christian evangelism with socialism, welcoming the poor and disenfranchised to his church, and championing various social causes for the downtrodden. He ran mixed-racial congregations since the 1950’s which was very progressive for the time. After operating in Indianapolis, he moved to California in 1967 where the church he founded, Peoples Temple, established its headquarters first in Ukiah and later in San Francisco. The church’s social welfare programs earned it respect and endorsements from civil rights activists, celebrities, and senior politicians. Over time, Jim Jones reportedly became increasingly unhinged and authoritarian and was abusing drugs. He began moving his congregation, the Peoples Temple, from California to the South American country Guyana in the mid-70s, following a spate of negative press reports. It was here in November 1978 that a tragedy unfolded. US Congressman Leo Ryan flew to Guyana to visit Jonestown accompanied by journalists and ex-members who had been lobbying him to intervene, to investigate allegations that ex-members’ relatives were being held there against their will. Initially the visit was tense but civil. The senator asked if anyone wished to leave, and 16 members of the 1100-1200 congregation decided they would leave Jonestown. On the last day of the visit, Congressman Ryan was suddenly attacked by a knife-wielding member of the congregation. The “half-hearted” assailant was restrained by others and the Congressman was unscathed, but he left immediately with his party for Port Kaituma airstrip, about 5 miles away, joining up with those who had decided to leave the Temple. At the airstrip there was a delay, as an extra plane had to be chartered to accommodate the extra people who were leaving. As the second chartered plane, a six-seat Cessna, prepared for take-off, Larry Layton, a Temple member who had feigned a desire to leave, opened fire on other passengers inside the cabin, but was restrained. He had not been allowed on Ryan’s plane. Meanwhile Ryan’s plane was ambushed from outside by gunmen who arrived concealed in a tractor that had driven to the airstrip from Jonestown as people prepared to board. Congressman Ryan was killed, along with four others, and the plane disabled. The assassins specifically targeted the Congressman, shooting him repeatedly at close range to ensure he was dead, as well as some of the news crew. The Cessna was able to take-off and report the incident in Georgetown, while survivors fled into the jungle and hid. The gunmen who assassinated the Congressman, presumed to be members of the Peoples Temple, were never positively identified. Back in Jonestown, Jim Jones and the community gathered under their pavilion, where the Reverend said he was not responsible for organising an attack on the Congressman, but knew it would happen. He suggested everyone in the community would be violently attacked by government forces who would retaliate and shoot them from helicopters. He proposed “revolutionary suicide” as the best course of action, after which everyone apparently willingly drank poisoned Kool-Aid from a vat, and laid down and died in rows. The mass deaths at Jonestown were discovered the following morning, 19 November 1978, by a large contingent of Guyanese soldiers who headed there after reaching and securing the airstrip at dawn. They were soon joined by US government forces. There is quite a lot more to the Jonestown story, however, and many anomalies, which we will now delve into in the next section. What a stomach-turning read, I’m baffled by the story here and the terrible events that happened at Jonestown. I did not know much about this event before reading your article, neither of the MK-Ultra and Cointelpro operations. How the cult word came into public awareness and nowadays is so loaded with fear is much clearer to me. You really sum it up well in the following lines. Society unfortunately takes mainstream information regarding cults at face value which only strengths the anti-cult movement and reinforces current beliefs. Hopefully information like this reaches people and poses a different view of spiritual groups out there. It immediately makes me question if this is yet another setup to further crack down on cults and religious groups, now through even further measures. If all these happen around 60’s I was wondering how these agendas must have been developed by now 50years after… Could make me doubt for everything and be sceptical towards any kind of project mass media are promoting. Jim Jones was a satanist, spook, and fraud. As do many others of satan’s breed, he infiltrated Christendom to destroy it. Dr. Stan Monteith (RIP) was in medical practice and treated someone very close to Jim Jones, who told him about the satanism. I cannot recall the exact relationship, but RadioLiberty.com sells its old programs, so you might call them; or ask Constance Cumbey, cited below. Here book is free at archive.org too. Jim Jones was an excellent case in point. Prior to the Guyana suicide/murder fiasco, the New Agers were most proud to claim him as their own….Of course, once Jones lost his sanity and his favorable public image, the rest of the New Agers never mentioned him again, except to point to him as an example of the dangers of religious fundamentalism. The beauty of the particular form of organization they have adopted is that whenever an organization or individual becomes embarrassing to them — as did Jim Jones — they can quickly close up their fish-net-type structure to exclude that person of organization as though he or it had never been a part. The Cathedral of St. John the Divine, the medieval temple of the Episcopalian Archdiocese of New York, has become the mother institution of the New Age movement in the United States, whose goal is to eclipse the Age of Pisces (Christianity) with an Age of Aquarius (Lucifer). 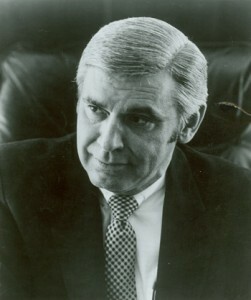 The presiding bishop of the cathedral, Bishop Paul Moore, whose family is heir to the Nabisco company fortune, has been in the forefront of creating this Satanic “new world order,” since at least the late 1950s, when, as a priest in Indianapolis, Indiana, he gave the “People’s Temple” cult of Jim Jones its start. Jon Lodeesen was Jim Jones’ CIA handler. In 1961, Lodeesen sent Jones on an urgent assignment in Hawaii. Jones’s whereabouts from 10/61 until 4/62 is unknown and his U.S. Passport for that period is conveniently unaccounted for. Jones’ U.S. Passport #0111788 is accounted for, but it was issued in his name at Indianapolis on January 30, 1962 well after and during his presence in Cuba and Hawaii. From October 6, 1961 to April 1962, Jim Jones whereabouts is secret, which covers Obama Sr.’s sensitive presence at UH, and within days of Stanley Ann Dunham suddenly resurfacing at the University of Washington in Seattle. In fact, how Stanley Ann and Obama II got to Seattle, WA in August 1961 is an absolute mystery. At least one source placed Jim Jones in Hawaii in October 1961 most likely at the University of Hawaii (UH) with Barrack Obama, Sr., “On what would become a two-year sojourn, Jones made his first stop in Honolulu, where he explored a job as a university chaplain…” At least one other source place both Lodeesen and Jones in Hawaii from 1961 to 1962 working with the CIA station in Honolulu. By Lodeesen being established as one of Jim Jones’ primary CIA handlers, we get a clear understanding of what his mission would have been in Hawaii- that is psychological subversive intelligence activity. Jim Jones would have clandestinely moved about UH closely monitoring rumors and gossip about Obama, Sr., Stanley Ann and Obama II. Interesting. Thank you Author K, for your quotes. I was wondering if you had any information on the influences upon Leo Ryan’s wife? As the activities before and after Leo’s Ryan’s death seem peculiar, particularly her involvement with CAN and its involvement in the subsequent WACO massacre? I think you might mean the Congressman’s daughter, Patricia Ryan, who was a director of CAN during the WACO siege and encouraged the use of force. Oddly, while one daughter was in CAN, another joined the Rajneesh movement, a group which CAN certainly would have been against. Thanks Matthew for highlighting all the discrepancies in the official story of Jonestown. The ramifications of all of this for harmless alternative spiritual groups and indeed society at large are very serious. Quite terrifying all the questions raised here. Can’t really put into words what to say. Scary. Great work for researching and sharing all this and putting it out there. Thanks for drawing all this together Matthew. Jonestown really is like the 9/11 for alternative spirituality when you look at it that way. The majority will go with the mass-media sponsored version, however the evidence is there for those who wish to see beyond the facade. Gosh. Hard to know what to even say to all of this. It’s just awful. Strangely enough I learned about the jim jones story in religion class in high school. There was a whole chapter section about dangerous religious cults. They definitely weren’t giving it a well rounded and objective view of what took place with jonestown or any of the other larger stories that shaped the collective perception of alternative spiritual groups. So right from an early age, learning about these things in school, you’re taught to fear small religious groups, especially if they are in rural areas. Which is a pretty disturbing perception to have, especially when there is so much more to the story as you’ve explored here. The power of media outlets is extremely sickening. Thanks very much for bringing the forgotten side of this story to light Matthew. I was also only aware of vague details about it all, so it’s definitely been eye-opening to see how much of a role clandestine interests played in the whole event. I was actually only recently reading about a woman called Gail Kastner, who had been a victim of MKULTRA experiments carried out in Montreal. She had been a bright nursing student at McGIll University who approached the director of the psychiatry institute at the university hospital due to some issues she had with feelings of anxiety. The director was actually being funded by the CIA and Canadian government to investigate de-programming and mind control. Because of the level of consent granted to medical staff in mental health treatment, conducting the experiments on patients in the psychiatry ward allowed the research to be conducted immune to any ethics commissions. The ‘treatment’ itself was horrific. The inventors of the machine used to administer the electrotherapy, for example, had stated that humans should not receive more than 26 ‘shocks’ from it. As the experiments went on people were being given 133. In regards to Gail Kastner, the result of the experiment was leaving her with no memories of life before she was 20 and with multiple fractures to her spine, as well as some extreme psychological trauma. 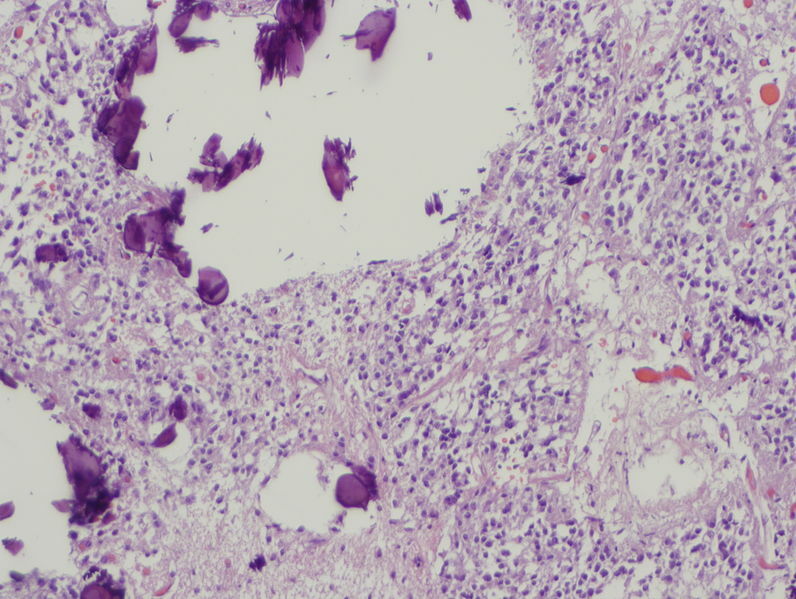 She actually had been left with no memories of the experiments until much later in her life when she heard others speak out against it, and after investigating came across her medical files at the psychiatry unit. It’s so tragic that things like this can be forgotten about so easily in society and yet only a fragmented, uncritical understanding of things like Jonestown can live on. It’s definitely influenced the public narrative regarding alternative spiritual groups. I remember a few years ago seeing one of those crime dramas on tv where the story was obviously based on what happened in Jonestown and Heaven’s Gate. The story centred on a small, fictional religious movement that was based on extraterrestrials and involved its mostly young, female adherents taking their own lives so as to ascend to a higher plane. It goes through the usually process of debunking the group based on cult criteria and setting it at odds with the safety and normality of the mainstream. It’s a common myth that’s unfortunately been propagated a lot in society. I’m glad articles like this exist though to show that there’s more to a story than a simplistic retelling can show, and that very often when it comes to real tragedies it’s often the underhanded actions of hidden forces that really lead the way. Thanks Matthew for an in depth article of a topic that I was woefully ill-informed of. I was unaware of the “Kool Aid” reference to this tragedy. 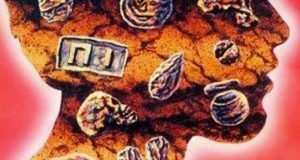 While reading your article, I was reminded of the work of one Derren Brown, and his episode called “The Heist”, which reminded me very much of tangible proofs of how MK-ULTRA should not be constrained to the domain of “conspiracy theorists”, but that such tactics are real… and demonstrable. This is all quite shocking and disgusting stuff. Derren Brown even lists “how to”/source material for his “experiments”. Thanks again for a great article. It’s very thought provoking stuff! I had not seen the things Derren Brown has done it the last few years. It is disturbing how he is now using hypnosis, suggestion and other techniques to influence people to the degree which he does. Certainly it seems he’s breaking laws on free will. Supposedly to help them and show people the power of the human mind etc. But actually he is controlling people in a rather dark way, using his mind tricks and knowledge of psychology to seemingly disprove the existence of divinity, while serving his own mystical pride by impressing people, all in making an entertaining show. He does it in a way that a lot can be learned from it though. But this is something that perhaps is worth its own study/article. And I don’t want to go off topic of this important subject of Jonestown. I never knew much about this atrocity, except for the media’s take on it as a ‘cult suicide’, so thanks so much for your research and explaining it in its real context, both for what took place then and its dire ramifications on spirituality now. Firstly I just feel very sad for all those people who lost their lives in such a horrific manner and all they had gone through, its just shocking to know the suffering and fear they would have experienced being hunted down and used as psychological guinea pigs. I remember watching a video of Jones town where Jim Jones was talking to the crowd of people at the time they wanted to escape and there was a woman who seemed quite alert and astute questioning Jones about what he was telling the people to do. I noticed the other people looking somewhat spaced out, while this woman was making a lot of sense. It left me with an odd impression that Jones was leading them to their death for a reason that didn’t seem spiritual at all but as if he was trying to convince them to do it. Reading this article helped me to put what I saw into context because it seemed to me he was pushing them into something they didn’t want as though he was going along with a bigger plan and they had to do it. Thinking about the whole fear drum roll about this horrific event and how it has caused people to fear alternative spirituality, when in fact its deeply linked to a covert secret govt operation, makes me wonder how many more tragic events have occurred in the same vein and where lives are sacrificed for an evil agenda under the false flag of ‘cult’? Thank you for this opportunity to step back and look at this event from a clearer perspective and to see it for what it was and its part in the war on consciousness. The fact that CIA is involved into all this and not just a fanatic group of anti-cult advocates shows that there is great focus from very high ranks of society to stamp down the free practice of spirituality. I wonder how many other popular alternative groups, that with their criminal actions contributed to the bigoted word cult and the war on spirituality, were also a set up. Fake cases where CIA and the media used to attack honest spiritual groups. I’ve read a bit about cases from Waco, to AUM Shinrikiyo and even Manson being connected to different governments. I had not looked that much into the Jonestown tragedy, but have still felt its indelible influence shaping society, in the way that people get concerned about small groups committed to spiritual ideals, gathering in country/rural areas, etc. I remember growing up that “running away and joining a cult” seemed to be a genuine concern for parents of rebellious teenagers; even a local soap opera I think had this storyline. This expose into the discrepancies of the official story and disturbing hidden agendas of the government show just how easily and successfully society and people’s thinking can be shaped to suit the accepted narrative. It also shows how important it is to search for the truth rather than simply accept whatever we are told uncritically. Thanks for this research and educating us on this extremely significant event in history. I had no idea about the full extent of this issue! Through other research into the anti-cult movement and the representation of spirituality in the media, the tragedy at Jonestown sparked off massive bias against alternative spirituality – there have been more than 200,000 instances of the word “cult” used to describe alternative groups in the media since then, and barely any at all before the tragedy. The link between the anti-cult activists and mind control experiments is really telling. I also wonder if Jim Jones was somehow exposed to MK ULTRA, and was in a way a type of Manchurian candidate himself. Why would they destroy his CIA file once his “handler” who was known for violent torture passed away? 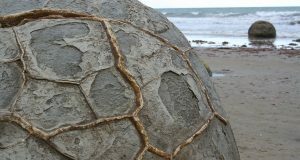 You digging into this has brought forth virtually unknown facts on this issue, which are so important, as they tell a very different story to the one everyone has been told by the mainstream media and society at large. This is so very sick and disturbing on so many different levels. It is very disturbing that this horrible deceptive event gave birth to the anti-cult movement. That says a lot. Thank you Matthew for your research and incredible work on this issue. It’s so important that deceptions like this get revealed. How appropriate. Sydney under siege by one man, maybe more, no one knows. Oh the telegraph does! Apparently it’s now come out that guy was not part of IS and was acting on his own, that the flag was not even an IS flag as claimed in the Telegraph article. Seeing this unfold in Australia, I got the nasty feeling that this incident, which is a tragedy in itself and has ended with three people dead, will somehow be used to further remove people’s freedoms. In newspapers in Melbourne, there were comments, even before the siege became fatal, about how we should expect more of these attacks from lone wolf terrorists. It’s a very similar story to the way all alternative spirituality is demonised because of a miniscule number of dangerous groups. When articles like this show that there is more to the official story than meets the eye, you can’t help but get suspicious about the motives behind it all. On twitter, Rupert Murdoch came out praising the Telegraph’s coverage of this issue too. Hey Matt, thanks for writing this, very interesting. I never knew about the origin of that kool-aid comment before reading this. I had previously heard it jokingly used in spiritual groups I have been a part of. It’s right what you say that people who don’t even really know what went on (I guess only a select few know the whole story) still use the mass media version of events as a bias for how they view spiritual groups. People are very skeptical as a starting point and can very easily label a very innocent gathering of people with similar interests as a “cult”. I recently watched a documentary on the Waco incident and seems like a lot of shady things happened there too. Wow. Matthew. What an important article. It is crazy how much the fear of cults/small religious groups in our society has been manufactured. I thought that these anti-cult activists were blowing things out of proportion highlighting extreme cases like this supposed mass suicide and bunching them together with all other small groups making all small cults or non-mainstream groups seem dangerous. But your article has really opened my eyes. It’s worse than I thought. This doesn’t surprise me one bit, but I am really saddened to see what you have brought to light here. Thanks for doing this. I hope people can find your article and attempt to think for themselves rather than just believe everything they are spoon-fed by the media. I really like this line and follow your logic….things that make you go hmmmmmmmmm…….. It makes my skin crawl every time people make the casual “don’t drink the kool-aid” joke … It actually makes me shudder, reminding me how blinded we are as a society because of the conditioning we’ve been exposed to via the media and these government agencies (and whoever is their mouthpiece of the day) such that most people know nothing about these terrible crimes committed and covered up by the very people we “elect” to manage our affairs, and instead the masses are only able to perpetuate the whole “dangerous cult” narrative and spread mass hysteria around anything unfamiliar or new in the realm of alternative spiritual beliefs. Thank you for the well put together research on this, Matthew — hopefully it will help more people come to critically evaluate these age old myths and stereotypes, and open their eyes to the fact that religion or spirituality had very little to do with the terrible events at Jonestown, and that the real danger is much closer to home than we think. Instead, we should really examine the actions and motives of those in power (and especially those with an interest of covering up the murder of 900 people in the span of a few days…). Oh that’s terrible… How can people make fun of a massacre like this…? Thanks David for bringing this one to the surface.. That’s really, really disturbing. The loss of nearly 1000 lives in such a horrific tragedy gives this company the slogan they need to sell their drink, now that is a tragedy of tragedies. Its like the people who were made out to be a cult scapegoat lost their lives and their human-ness to the rest of the world, who sees them less human and unworthy of dignity. I don’t think people really realise how much the anti -cult movement dehumanises people and how we as people of this earth lose our humanity because of it. Jonestown and drinking the kool-aid have become etched in our collective consciousness as symbols of sinister fringe cults. I think most people using the “kool-aid” expression probably don’t even know where it comes from. Even just as an example of media manipulation and demonization of alternative spiritual groups, this terrible story would be worthy of study. When you add in the possibilities of CIA infiltration, MK-Ultra experimentation, and the sad potential of the assassination of Congressman Ryan (who sounds like a rare example of an honest politician) then the story takes on whole new dimensions. Although it seems like ultimately we don’t know for sure what was behind it, it seems we can be fairly certain that something terrible happened in Jonestown and that it wasn’t just the result of meekly brainwashed sheep drinking the kool-aid. Hopefully one day the full truth will be exposed. In the meantime, an enduring tragedy of the whole affair is the multitude of harmless spiritual groups and practitioners that face discrimination, prejudice, and fear because of the powerful Jonestown archetype. Thanks very much for putting all that together Matthew. I had heard and seen some of it before, but to see it all packaged together really hits that sad point home – yes, Jones himself seemed quite “off,” but at the same time, how anyone can’t see that there is something far deeper and more sinister to the whole thing is beyond me. It is such a shame that this tragedy has been used to shape the public’s view of and/or attack any alternative spiritual group for so many years, when really the heart of the issues had little if anything to do with that at all. Worse still is how, as you mentioned, these groups have absolutely nothing to do with this whatsoever, yet they get compared to and thought of in the same way. I like the quote you’ve got there from Tim Carter – that about sums it up very well doesn’t it. Matthew, thank you SO MUCH for researching and documenting all this information. It would have been quite sickening to unravel. Per the reports 1,000 people were murdered, and only 2 committed suicide, yet all I had ever heard about was the so-called ‘mass suicide’. What i’m amazed too was the amount of psychedelics found there.. I know it was the 70’s but it had to come from somewhere, imported and supplied. And that may even be yet another clue to where it came from. How laughable indeed it is that the CIA claimed all these brainwashing horrors experiment did not work yet ‘they’ want you to believe that minority religious movements are capable of doing so!?! It just shows again how adamant that agenda against spirituality is but like it states in the article sadly the population is drinking the kool-aid by accepting what people behind the scenes are wanting people to accept.. Seeing how the only too recent and highly redacted torture report came out (based on 6 million entries..) in the USA – it is horribly realistic to doubt the words of the CIA and FBI stating they are no longer conducting MK-Ultra or into placing people into organizatiinns to disrupt and provoke the outcome of such organizations. This reminds me of a protest I attended in San Francisco. It was all very peaceful, even though hundreds of thousands gathered and walked against the war in Iraq. As we passed next to The Chronicle (Newspaper office) I was shoved from behind and a man all dressed in black commando came out of nowhere and threw and lit a cocktail molotov at the lone cop (who was thankfully wearing a face shield and compact vest) standing at the entrance under the security camera. I tried to go and help out the cop but was pulled out by a friend who kept me and got me out of the scene. The man dressed in black had too much cool (he could not lit the cocktail right away), was too agile, too swift and obviously knew where the cop was. In one second he changed the peaceful protest into something murderous and evil by trying to set a man on fire. I always felt that this was no coincidence. his clothes were not normal clothes either of someone simply dressed in black. it had the whole feel of a military response. Of course I’l never know the truth about it, but I never believed it was simply an anarchist doing it either. I have been in other protests and seen anarchists before – nope that person was not ‘it’. Nasty. I’ve never heard about this before, but it sounds like something really fishy, with too many connections to the secret operations to be overlooked. 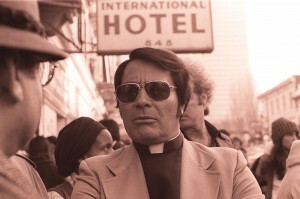 I mean, if we just theoretically imagine Jim Jones was a part of the secret government/CIA plan, then it could have been something like this: To gather as many people there as possible, under the pretext of social justice and religious feelings, a lot of poor people too that maybe saw it as an escape from their conditions, and then sacrifice those people to fuel the agendas of “dangerous cults” and consequent war against alternative spirituality. Pingback: Now Legal, Declassified Documents Reveal How CIA “Develop” Covert Propaganda “Themes to Push ‘Hot Buttons’ of Americans” | News-Press-Liberty With Responsibility!